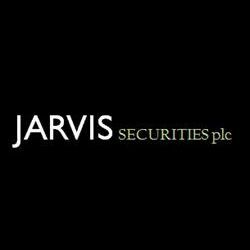 Jarvis Securities plc is the holding company for Jarvis Investment Management plc (JIM) a stock broking company and outsource service provider for bespoke tailored financial administration. JIM was established in 1984 and is a member of the London Stock Exchange; a broker dealer member of OFEX, authorised and regulated by the Financial Services Authority and an Inland Revenue approved PEP and ISA manager. JIM has more than 25,000 retail clients and a growing number of institutional clients. As well as normal retail broking Jarvis provides cost effective and flexible share trading facilities within PEP, ISA and SIPP wrappers. Jarvis provides outsourced and partnered financial administration services to a number of third party organisations. These organisations include advisers, stock brokers, banks and fund managers. Jarvis can tailor its administration processes to the requirements of each organisation and has a strong reputation for flexibility and cost-effectiveness.